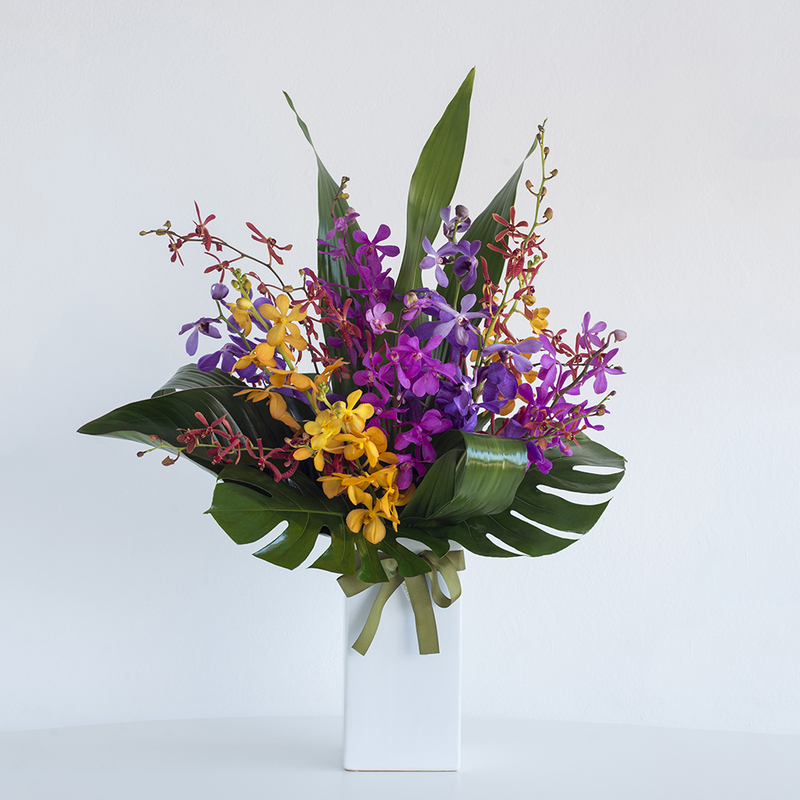 A tropical delight delivered straight to your door! 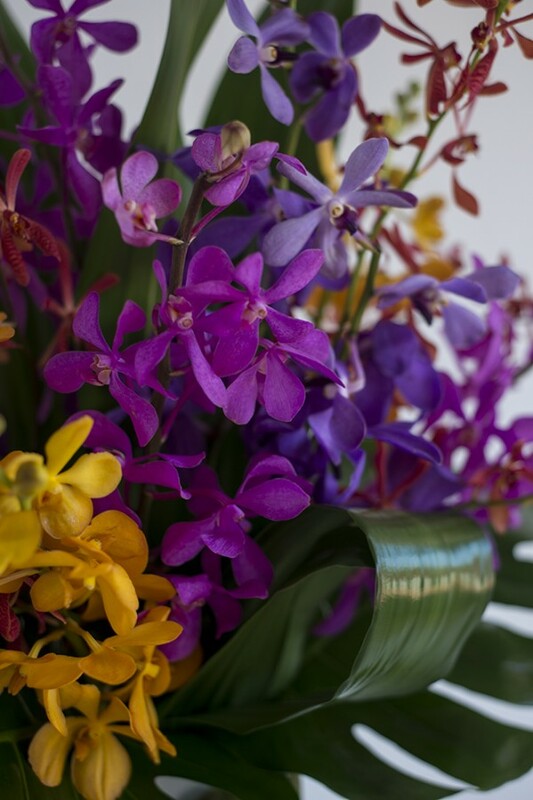 This assortment of long lasting, vibrant orchid blooms arranged in a ceramic container comes beautifully finished with tropical foliage and is excellent value for money with the extensive vase life. Our orchids come delivered straight to us from Singapore guaranteeing freshness and quality. A complimentary gift card is also included for your own personal message.